You will be given a reference e-book to read which has 291 pages And the test will be based on that e-book , you can take final test within 1 year of purchase. Loan modification refers to the process of modifying the loans made by lenders as a means of responding to the inability of borrowers to pay back their loans. The entire process involves reducing the interest rate, extending the terms and formulating a new type of loan. Lenders are willing to agree into a loan modification since the cost of drawing this agreement is lesser when compared to the defaulted loan. Loan modification is also popular for its other name mortgage modification and a lot of homeowners decide to undergo this process especially if they are already facing difficulties in paying out their mortgages and they want to prevent foreclosure as much as possible. The loan modification process also covers the procedures of reducing late fees and penalties and the principal amount. Aside from extending the loan terms and reducing the interest rate and the principal balance of the loan, loan modification is also beneficial for borrowers because of the ability of the process to maintain the good standing of their utility accounts. It also works in preserving home ownership. Lenders also benefit from this process because this allows them to receive an amount from the loan instead of just getting nothing at all. If you want to fully understand how the loan or mortgage modification process works, then taking up a loan modification certification course is a wise move. You can take up a loan modification course from an ISO certified company which has now become popular for its good reputation and legitimacy. 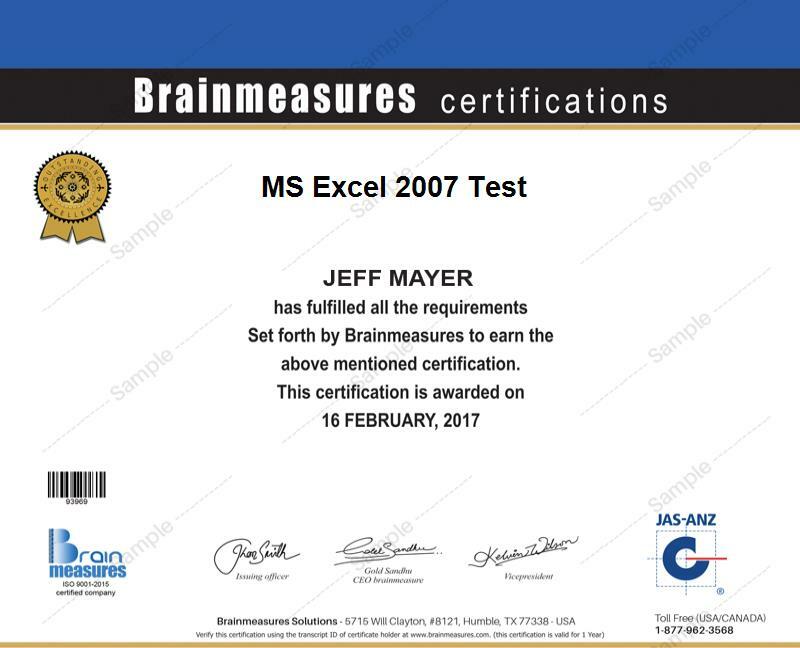 This online certification company is called Brainmeasures and this aims to supply you with relevant information about the entire process through its loan modification training which contains updated, accurate and detailed information. The loan modification certification course aims to provide relevant details about how you can modify the loan agreement and how you can persuade and negotiate with your lenders so they will agree in your decision. The certification course also offers topics that are linked to proper loan management so expect to generate more ideas on how to avoid defaulting in your payments in the future. In order for you to receive your certificate, you are required to take the loan modification exam and pass it. The loan modification certification course which you can now easily access at Brainmeasures aims to benefit a wide array of professionals in the mortgage and lending industry. You should consider enrolling in a loan modification certification course if you are a mortgage professional who plans to diversify the products that you are offering and further increase your income. This is also a good course for professionals who are working in a loan modification company, underwriters, servicers and lawyers. If you are already a loan modification certification holder, then you can expect to notice a dramatic change in your income as well. The average annual salary for loan modification experts is $60,000. As you gain more years of experience in the loan modification field and you start to get high-ranking positions, then you can expect to receive even higher earnings.